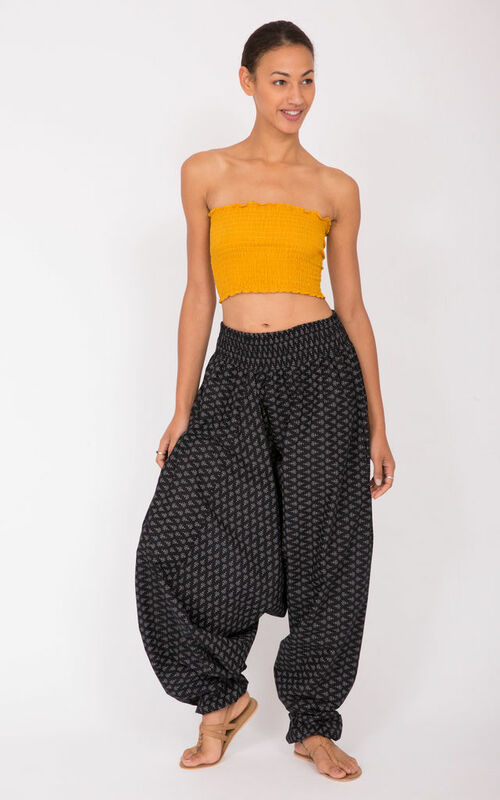 This is the maxi version of our popular and versatile convertible harem pants and jumpsuit made from cotton fabric ideal for warmer weather. Pockets down the side add style and utility. Wear as harem style trousers or as a comfy romper jumpsuit. A versatile outfit, perfect for holidays as can easily be dressed up or down with flats or heels, accessorize with a belt. Stretchy waist so will fit size 8-18, flattering on both curvy and slimmer shapes and also popular as maternity wear. This style suits better if you are taller than 5' 5" If you are petite, please check our boutique for a similar 2 in 1 style in capri length.